The Wed Magazine Show - Cornwall's biggest and best wedding fairHeadland Hotel, Newquay Sunday 24th March 2013 The date and venue are firmly fixed. We are pleased to . . .
Nestled on the edge of Dartmoor National Park in 5 acres of captivating countryside, The Horn of Plenty Country House Hotel offers a stirring backdrop for the dreamiest of days, . . .
New Devon Wed Out Now! Yes folks - it's that fabulous time of year already. Forget Christmas for a moment - we've got another gift in store for you as the latest issue of Devon Wed hits the shelves.Fea. 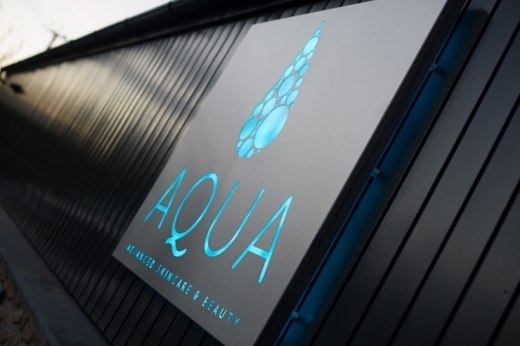 . .
Rock super spangly nails this Christmas with Aqua's very special offer on GelColour Nails. Usually £35, the long-wearing gels are available for the special price of £20, and you . . .
Rachel and Simon tied the knot on an excellent wedding date: 29th September 2012 (you got it - the same day as me). Although now living in New Zealand, Rachel wanted to ret. . .
Capturing stunning sunrise shots of the most memorable days in your life, award-winning Cornish company, The Day That is inviting WED readers to take advantage of their latest, not. 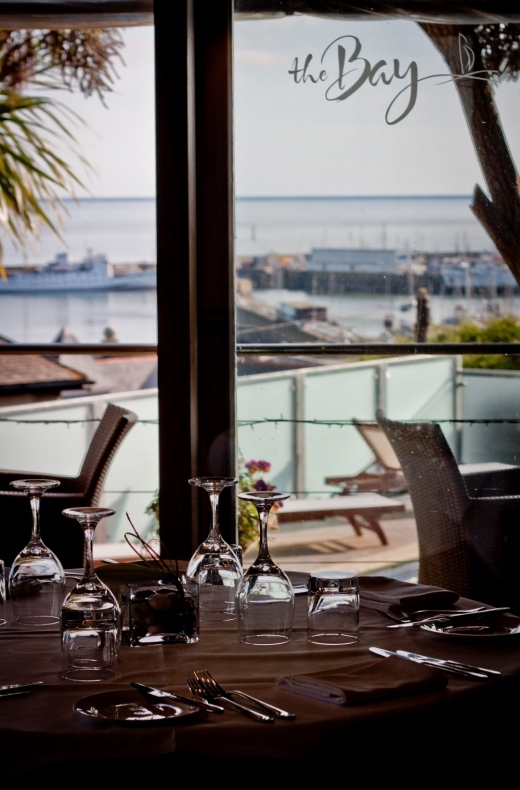 . .
One of Penzance's premier venues, The Bay Restaurant has been awarded 2 AA Rosettes for the 9th year in a row. AA inspectors visited the restaurant earlier in the year and were i. . . 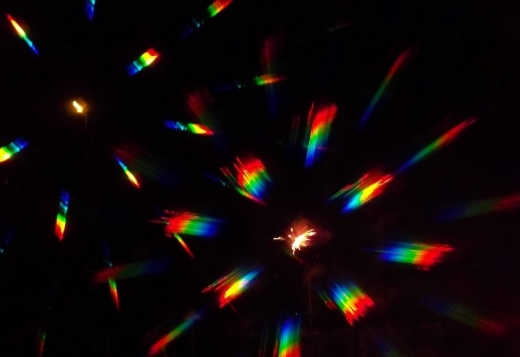 Welcome to a new craze in wedding world...PartyGlasses. Simply don a pair and see the light as a series of spellbinding shapes float across your vision, giving your wedding celeb. . . 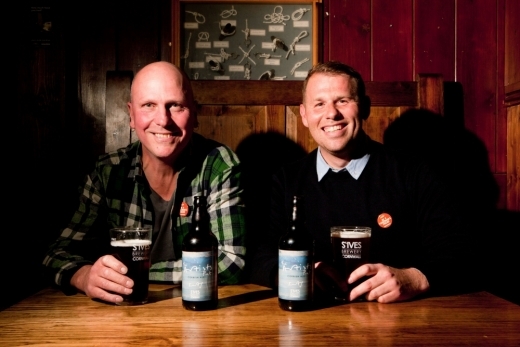 Celebrate your day with an extra dose of arty Cornish style with the latest buzz on the beer scene - a creative collaboration between eminent artist Kurt Jackson and St Ives Brew. 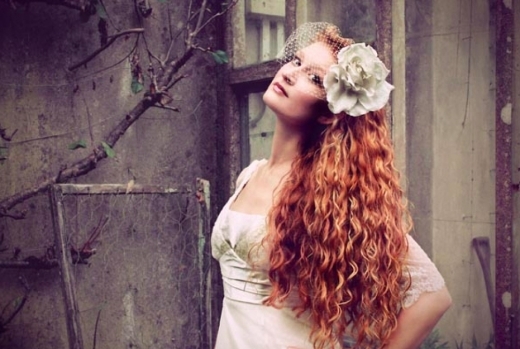 . .
County Cream Bridal House in Truro is offering brides a brilliant autumnal offer. 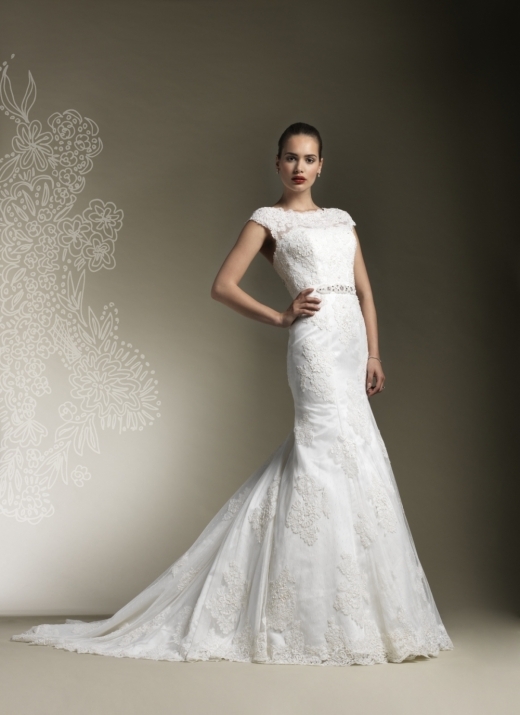 Simply place an order any time in November on any of their dresses worth £500 or more and receiv. . .
Sunday 25th November 10am-4pm Old Bakery Studios, Truro Cornish-based hat designer, Holly Young, is hosting a one-day sale where brides-to-be can peruse her spe. . .
Sunday 18th November Buckerell Lodge Hotel 11am - 4pm Feast your eyes on some stunning items at Pirouette's biggest ever sale of designer dresses. Pick up a fabulous . . . 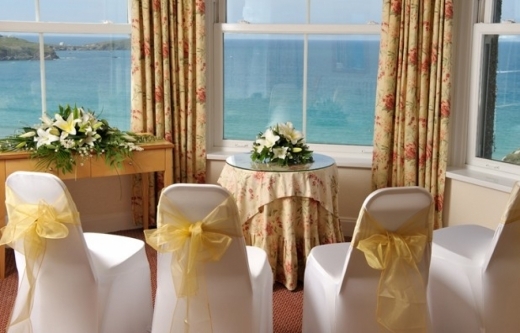 Celebrate the season in style with a special winter wedding package at St. Michael's Hotel, Falmouth. Couples booking during the months of October, November, February or March wi. . .
Having recently hosted their first vintage wedding fair, Alverton Manor is pleased to announce a brand new wedding package aimed specifically at couples wishing for a vintage sty. . .
Ladies (and gents!) There's nothing wrong with a little romantic fantasy, and with release of the Downton Abbey Series 3 boxset, we get to enjoy the marriage of Lady Mary Crawley. 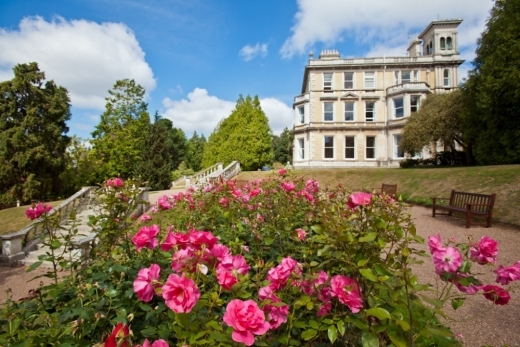 . .
Langdon Court Hotel has recently been recognised an an exemplar of the hotel world by being awarded AA 4 star Hotel status and 4 star Visit England Country House Hotel status.Ply. . .
Goveton, Kingsbridge Sunday 4th November 12pm-4pm Explore this exceptional wedding venue and meet some of the best suppliers i. . . Check out one of Wed's latest and seriously stunning photo shoots courtesy of videographer Pete Cox's polished production, which perfectly captures the day and showcases the feel. . .
Saturday 10th November 10am - 4.30pm With up to 70% off ex-sample wedding and bridesmaid dresses in store, head to Falmouth for Bride To Be's spectacular sale . . .
Saturday 10th & Sunday 11th November The Wedding Company's big sale is simply scandalous! 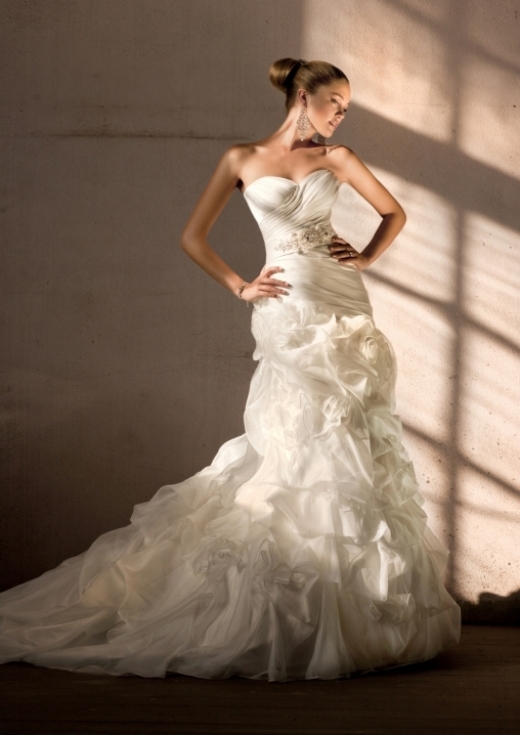 With an amazing array of bridal gowns available up to a size 30 - and some wit. . .
Saturday 3rd November (10am - 5pm) and Sunday 4th November (11am - 3pm)Barnstaple's beautiful boutique will be bursting with bargains at their spectacular weekend sale event. Sco. 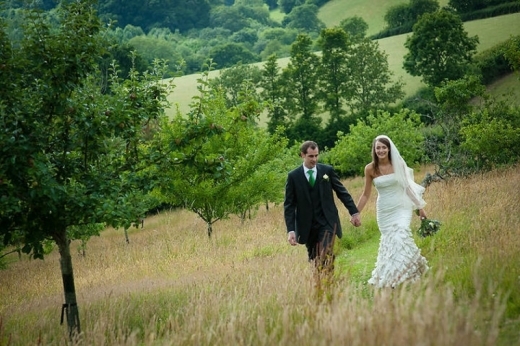 . .
Start 2013 in supreme style as Mr and Mrs – and have the winter country wedding of your dreams - with The Oak Barn's amazing New Year offer. Enjoy a seasonal ceremony in the beau. . .
For something utterly unique, incredibly fun and magnificently memorable - indulge in some 'marryoke' at your wedding...A comedy wedding video that features clips of you and your. 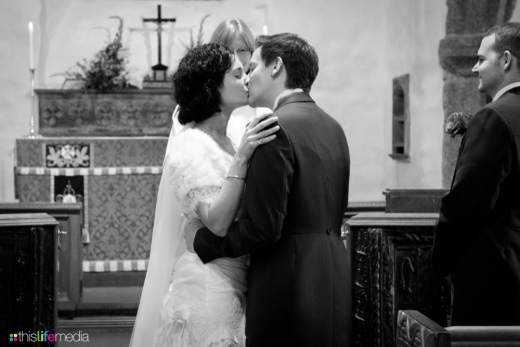 . .
We've been blown away by the wonderful messages we’ve had about our wedding. The heartfelt words and sheer enthusiasm for the details and atmos. 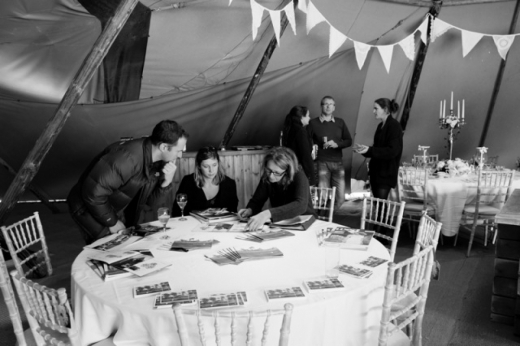 . .
Darts Farm 27th-28th October Head to Darts Farm for this prime opportunity to explore World Inspired Tents' stunning tipis. The team will be showcasing three of . . .
Saturday 24th November Meet the dynamic designer herself courtesy of The Wedding Company in Plympton's exclusive event. Bask in the esteemed company of Charlotte Balb. 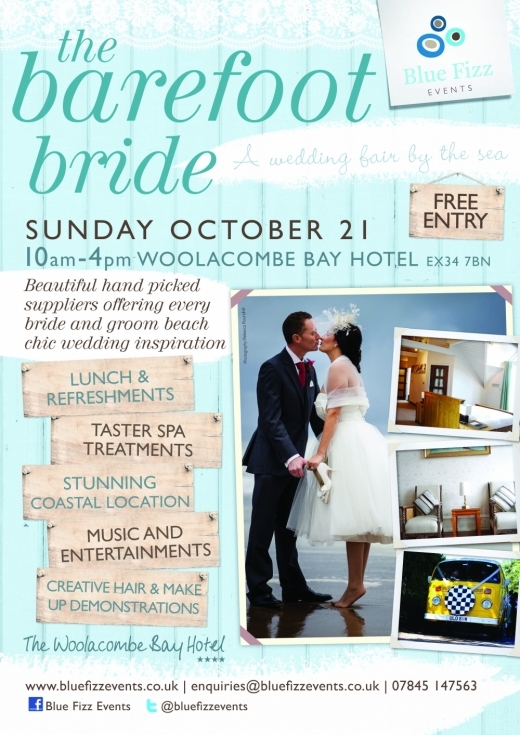 . .
Woolacombe Bay Hotel 21st October 10.00-4.00pm ‘The Barefoot Bride' is a stunning event by the sea giving brides-to-be perfect beach chic i. . .
Sunday 21 October 10am – 4pm Visit the Heartlands Wedding Fair this Sunday for a hotly anticipated event and the chance to win a wedding at the spectacular Cornish venu. 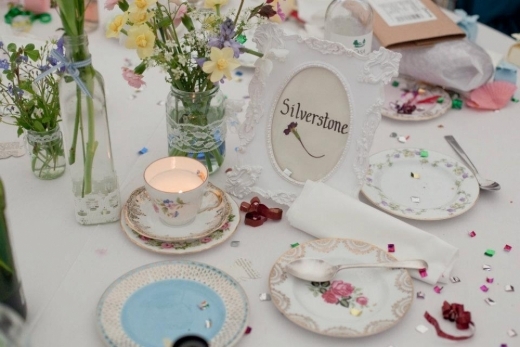 . .
Sunday 21st October 11am - 4pm Featuring a feast of vintage-inspired offerings, this event looks set to beguile brides-to-be with a bevy of brilliant and stylis. 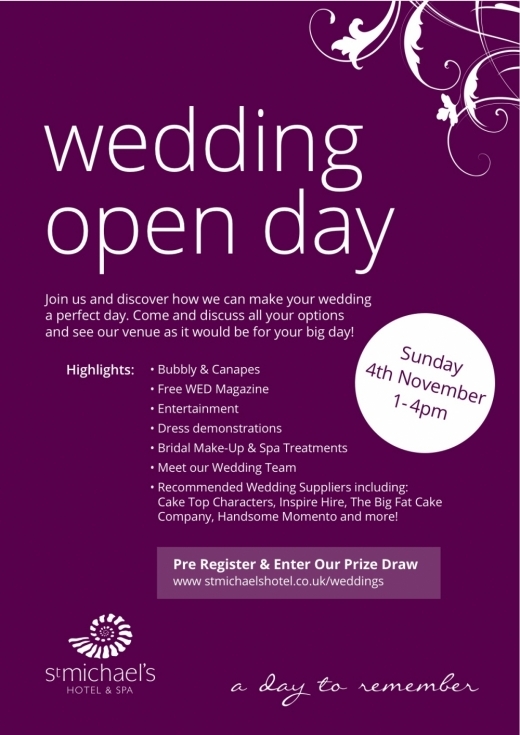 . .
Sunday 4th November 1pm - 4pm Join the team at one of the county's most spectacular waterside wedding venues for a jam-packed day of planning and enjoy bubbl. . .
Thursday 18th-Saturday 20th October Camborne's emporium of bridal delights, Little Anne-Maids, will be holding its annual sale where brides-to-be seeking a brilliant bargai. . . 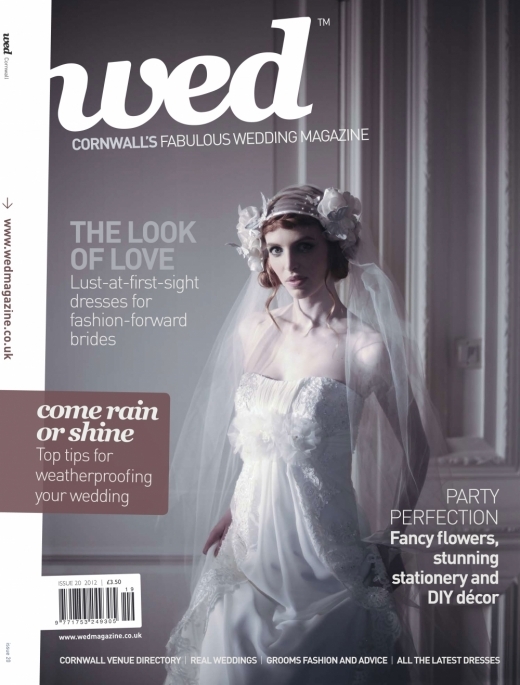 The wait is over - it's out now - the stunning latest issue of WED Cornwall. So while summer may well have disappeared, find new inspiration with our fabulous feast of fashion, i. . .
Take a sneak peak at one of This Life Media's recent weddings for a fabulous snap shot of their spectacular videography services:https://vimeo.com/49797323 Featuring . . .
Saturday 20th October Don't miss out on this great opportunity to buy off-the-rail designer dresses including new stock from 2012 and 2013 collections from just £295!Stocki. . .
Little Anne Maids in Camborne are hosting their spectacular annual sale from the 18th - 20th October, so head there to scour the rails for some truly heavenly bridal wears.With s. . .
Sunday 7th October 12 noon - 3pm The Headland Hotel invites you to their hotly anticipated Wedding Open Day. 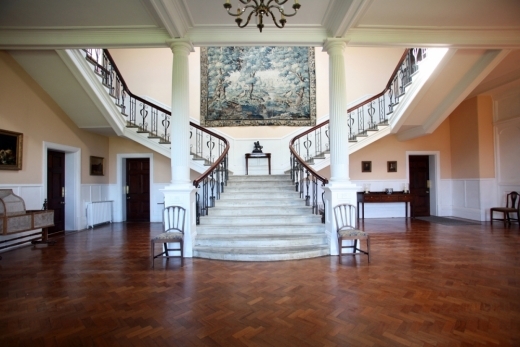 Showcasing the stunning cliff top venue and the won. . .
What better way to tap into the wild romance and magic of winter's dramatic days than by celebrating a seasonal wedding? And to help you do it in style, Falmouth's St Michael's H. . . 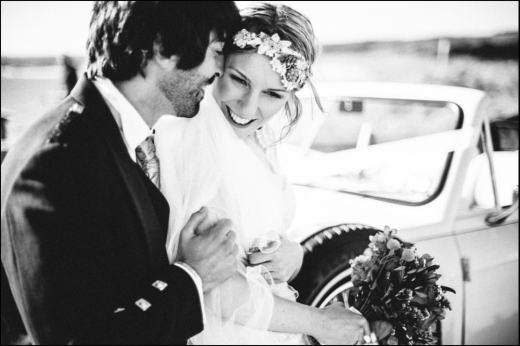 Photographer Andrew Hawker is offering couples an incredible deal on his stunning services. For all packages worth £800 or more, he will give a generous 33% discount. In addition. . . 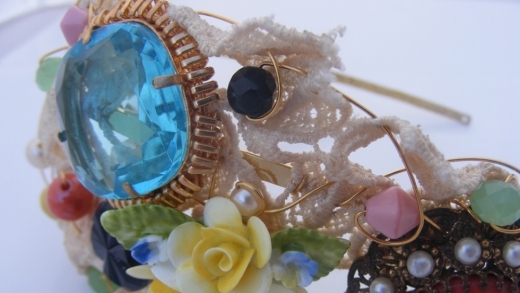 Fantastic milliner Holly Young is offering an early bird discount for 2013 hen party bookings, so snap up your date for a day of fun, creative frolics while it's still available!. 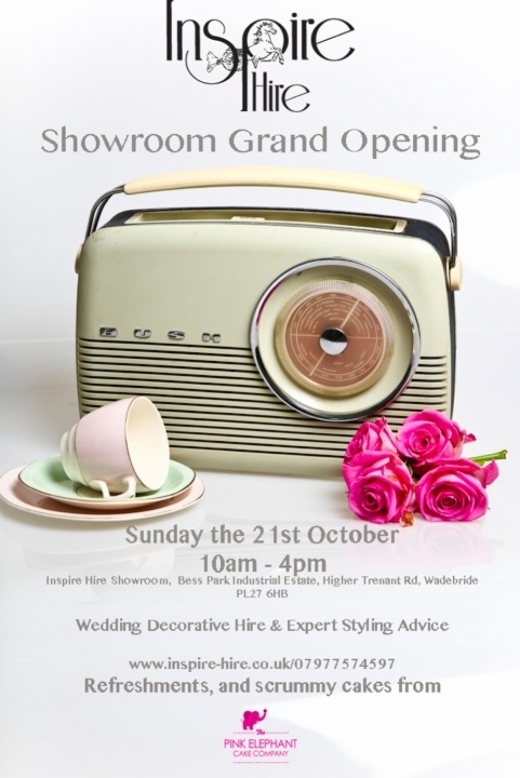 . .
Sunday 21st October 10am-4pm Opening her brand spanking new – and totally fabulous – showroom, Elle from Inspire Hire is inviting all couples tying the knot to a spec. . .
Michael Spiers will be hosting an enchanting evening with Prudence Gowns at their Plymouth showroom on Cornwall Street, on 18th October from 6.30pm. Not only will this give buddi. . . The team at The Ivory Secret is pleased to announce the arrival of a new collection in-store. As the exclusively selected South West stockist of Annasul Y, the Crediton boutique no. . .
County Cream Bridal House is pleased to announce that their recent Diane Harbridge launch party was a roaring success, with many brides-to-be lapping up the opportunity to scour . 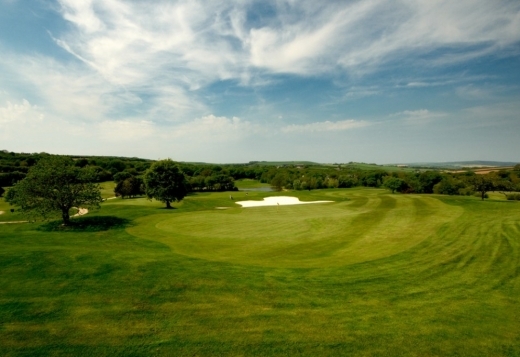 . .
Nestled on the edge of Dartmoor National Park in five acres of captivating countryside, The Horn of Plenty offers a stunning backdrop for your wedding day, all year round. The te. . . Brides and grooms are invited by photographer Lucy Turnbull to submit a small paragraph about themselves along with a picture. Following mass deliberation, two lucky couples will. 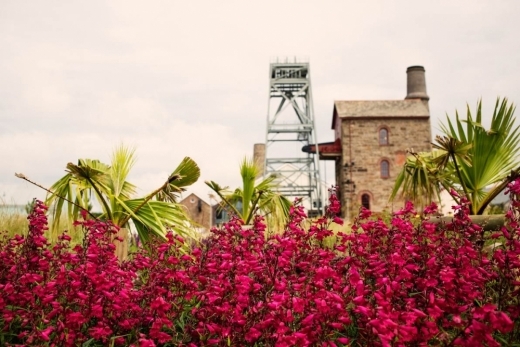 . .
Be one of the first people to marry in the beautiful Cornish Engine House at Heartlands. 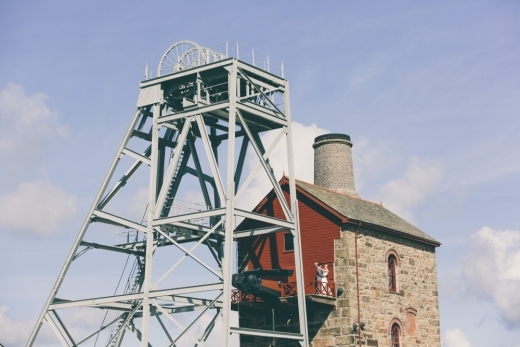 Steeped in history and housing a rare steam beam engine, the experience will be as unique. . . 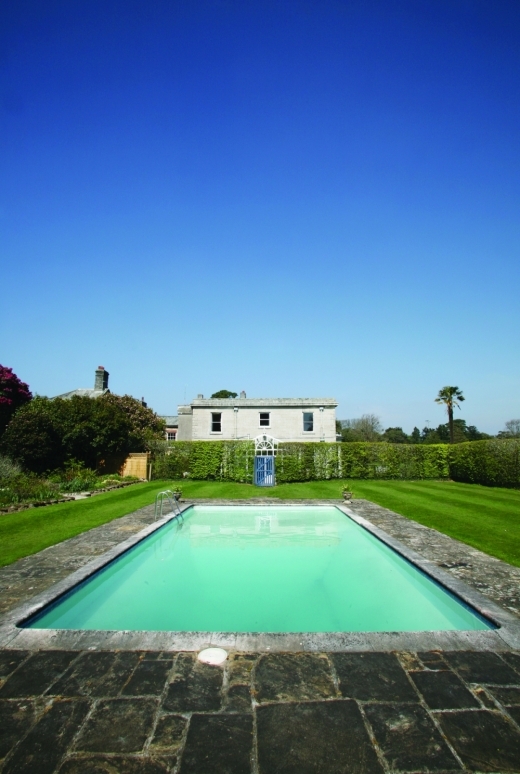 Win a hen party package at Boscundle Manor! 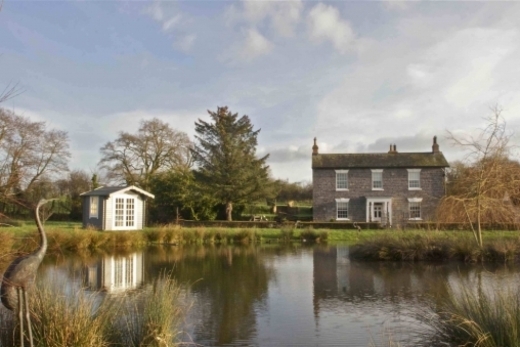 The lovely people at Boscundle Manor are offering WED readers the exclusive prize of a hen party package for six people. Situated in five acres of private, glorious grounds in St. . .
Friday 24th August Pleased to announce an exciting new in-store arrival, the bridal boutique is now home to brand new bridal collection, Diane Harbridge. The only stockist . 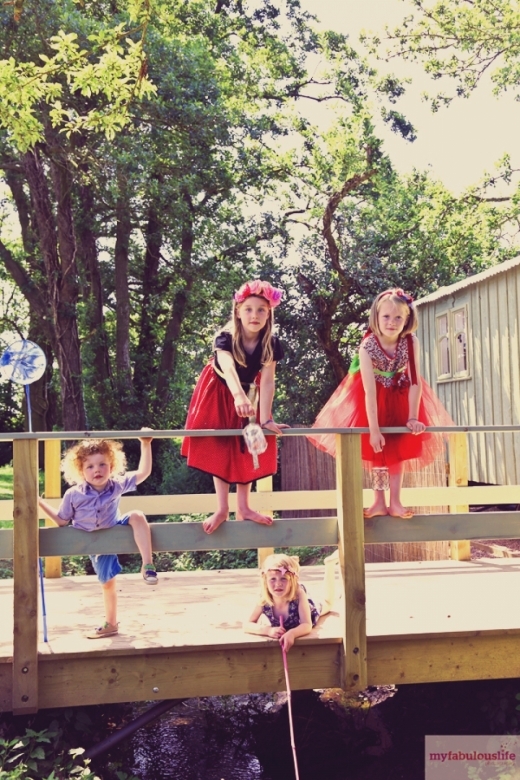 . .
Glamp with your guests in supreme style with Muddifords Court Country House's stunning new self-catering Shepherd's and Fisherman's Huts that are now available for hire.Set in th. . .
Get Creative and Win Your Own Bespoke Wedding Stationery Design...Stationery specialist The Paper Princess is offering Wed readers a wonderful opportunity to make material their . 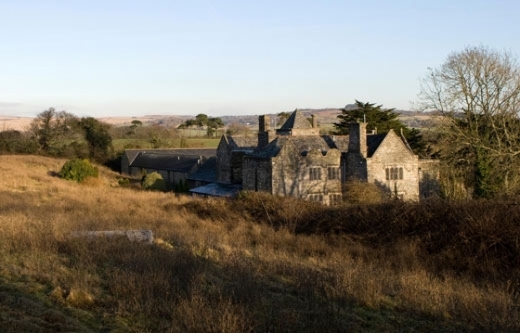 . .
Get set to be spellbound by a stunning new wedding venue in Cornwall. 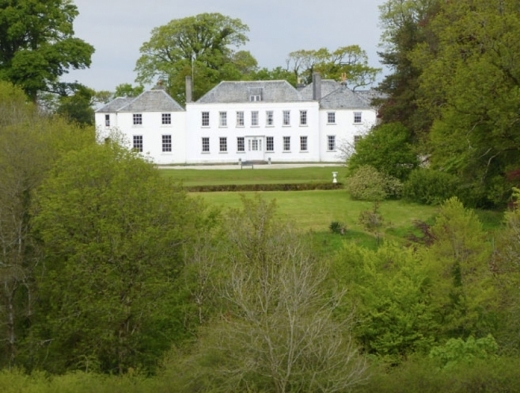 Two tree-lined drives either side of a small park lead to this beautiful grade II* listed Georgian Manor on . . . Strawberry Leisure is pleased as punch to announce that the recent Scorrier House Wedding Show raised £4, 370 for Children's Hospice South West. A resounding success for ex. . . 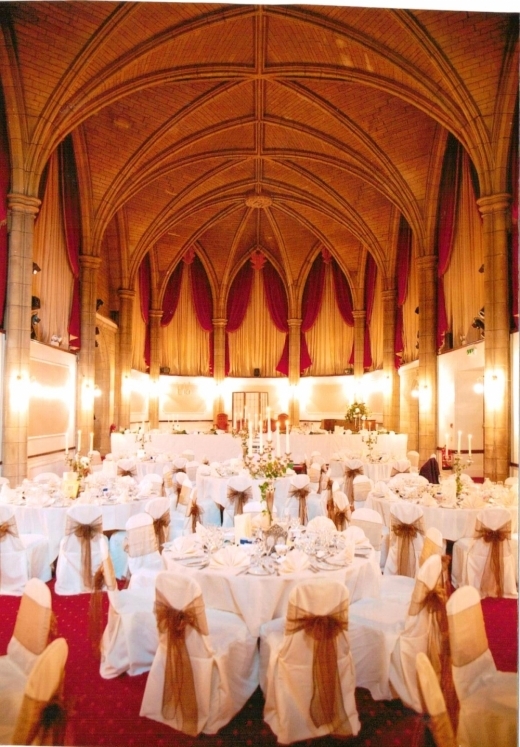 While brides peruse the sumptuous selection of fabulous frocks downstairs, grooms-to-be can attend to their stylistic needs in cool, relaxing surrounds at The Ivory Tower's exclusi. 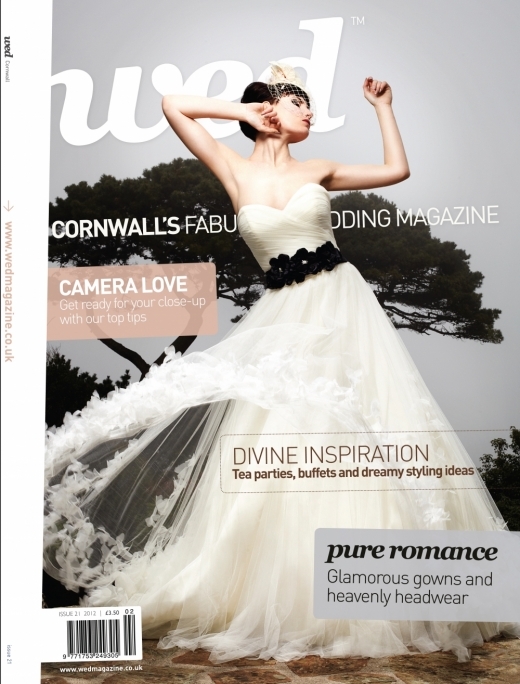 . .
New Cornwall Issue Out Now! It's here people! The latest Cornwall issue is a truly creative collection of features, shoots and news that's set to inspire, enthrall and entertain to epic proportions. We have s. . .
Sunday 15th July 11am-4pm Hosted by VW wedding transport company Strawberry Leisure, the organisers of this Sunday's very special Summer Wed. . .
Fresh from her three month stint in London working with Philip Treacy on headpieces for Paris couture fashion week, London fashion week and a bevy of celebrities - professional m. . .
Sunday 15th July 11am-4pm Hosted by VW wedding transport company Strawberry Leisure, this very special summer wedding show and auction will be raising funds for t. . . Pleased to announce an exciting new in-store arrival, County Cream is now home to brand new bridal collection, Diane Harbridge. The only stockist in the county to boast the renowne. . .
Langdon Court Hotel has been awarded 4* AA status, making the hotel just one of a small number in Devon to possess the coveted rating.Dating back to Norman times, Langdon Court i. . .
Thursday 12th July Pay a visit to one of Devon's most spectacular wedding settings at Bickleigh Castle's forthcoming open day on Thursday 12th July. Roam the gorgeous . 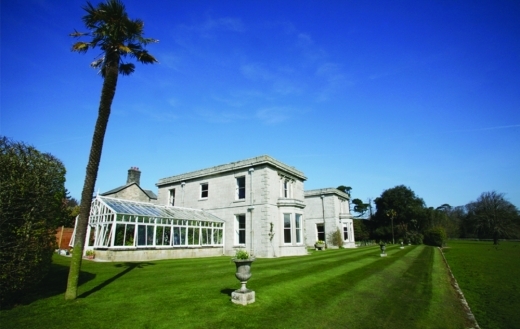 . .
Over 700 visitors arrived for Cornwall’s wedding planning extravaganza in April at the spectacular setting of Gonwin Manor, St Ives. Arriving to glorious blue skies and awe-inspi. . .
Friday 6th, Saturday 7th and Sunday 8th July Make an appointment for some inspired wedding dress shopping at Frilly Frocks' special Maggie Sottero event. Showcasing an arra. 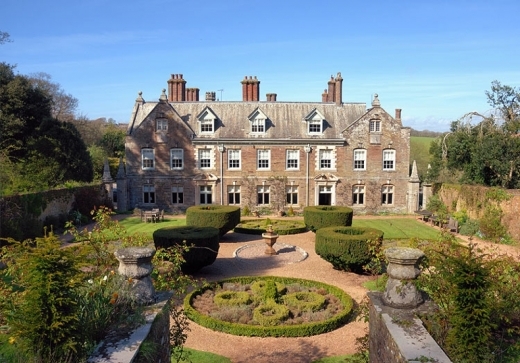 . .
Sunday 1st July 1pm-4pm Visit one of Devon's most spectacular wedding venues this Sunday as Langdon Court opens its doors for its summer wedding fair. Sneak a peek at. . .
Get 50% off your wedding photography! 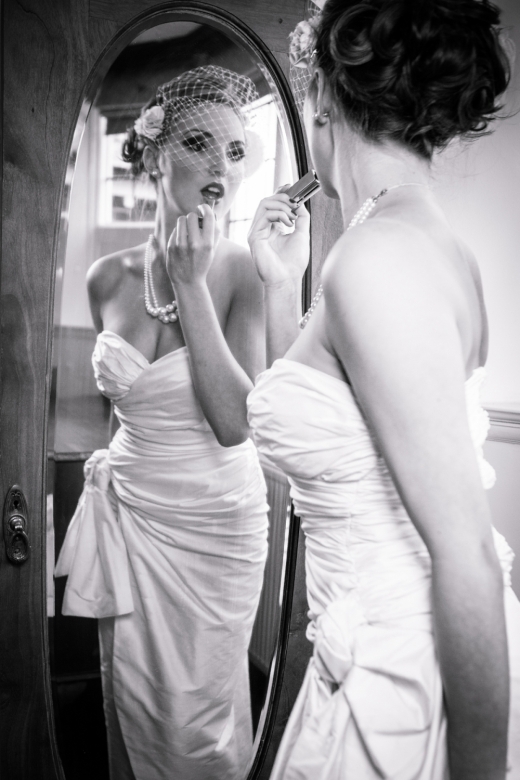 Still deliberating over your wedding photography? 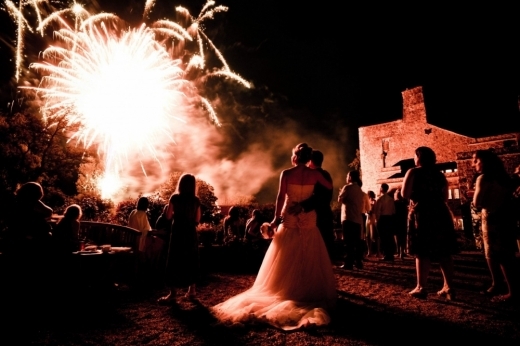 Simon Andrews Photography is offering a whopping 50% discount on all their wedding packages booked and taking place in 2012. Tai. . . In search of a truly unique honeymoon? Canopy & Stars have got it superbly covered. 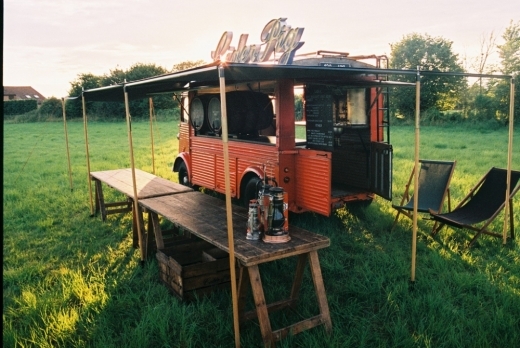 Having created the perfect escape for newly-weds needing a post-wedding pick-me-up, . . .
Sunday 24th June 10am – 4pm Blue Fizz Events is pleased to announce a Vintage Wedding Fayre with a difference. 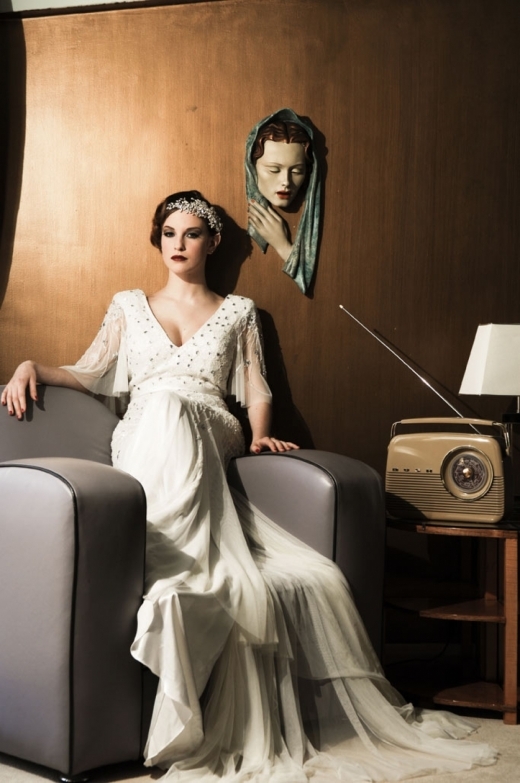 This is the first vintage wedding fayre to be. 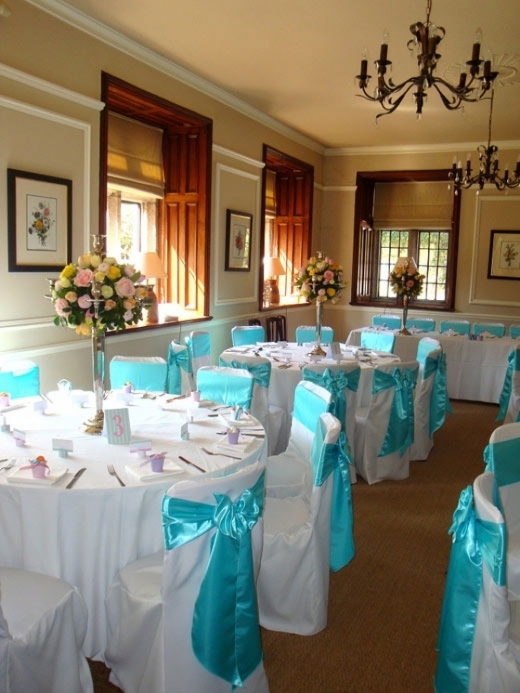 . .
For couples looking to tie the knot this year, Alverton Manor has compiled a fantastic late availability offer. 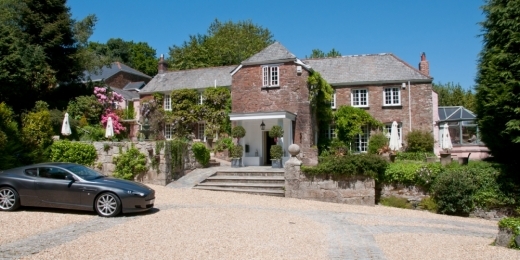 Situated in the heart of Truro, the stunning country house hotel b. . . 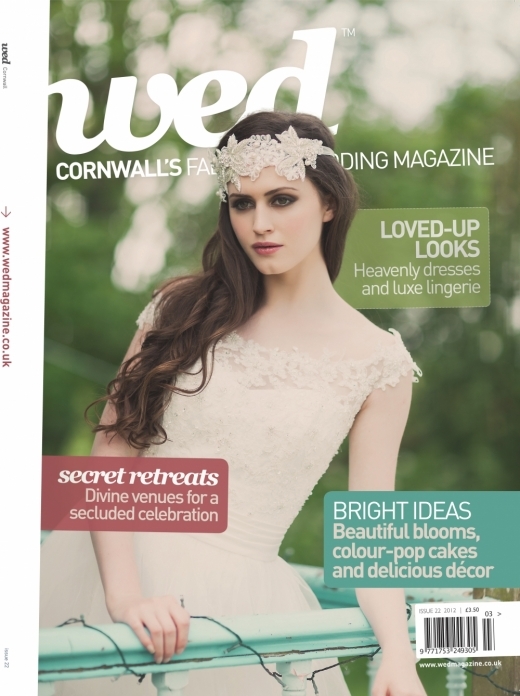 Sweeten your summer with the latest installment straight from WED Towers - the latest issue of Devon WED! Featuring a fabulous host of news, features and inspiration, everything . . . The Ivory Secret is celebrating its first anniversary in style by offering 10% off all full priced wedding gowns from 12th–16th June 2012.Housing an exquisite range of designer g. . .
Elizabeth Armitage Photography is running a competition for one lucky bride-to-be and two of her bridesmaids to have a fab hen party in her new Exeter studio. The prize incl. . .
Saturday 9th June from 10am Head to Lavender Rose in Penryn for their spectacular sale day and bag a brilliant bargain. With no appointment necessary, there will be an addi. . .
Getting married in 2012? 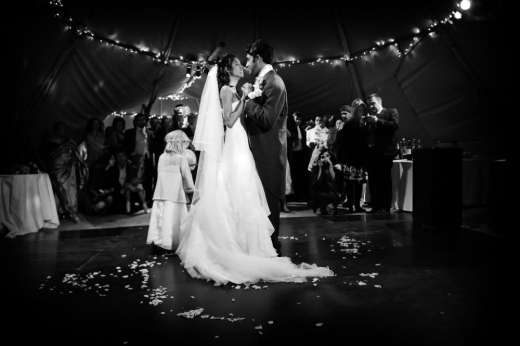 The Oak Barn is offering a staggering £500 discount for any weekend wedding booked for this year. Just say the magic words 'WED Magazine' to the owne. . .
Why not buck the trend and hold your wedding on a Friday, leaving you the whole weekend to continue your celebrations and enjoy the coveted company of family and friends? Hold yo. 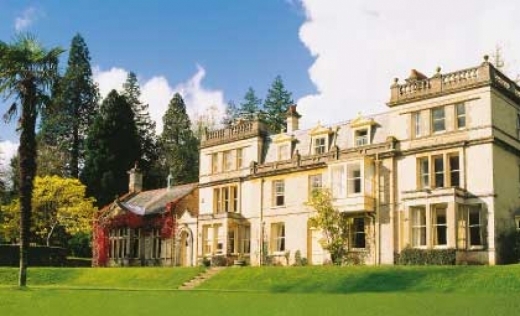 . .
For couples tying the not in October or November 2012, Holne Park have an unbelievably good and unmissable offer. They're giving couples the opportunity to extend their celebrati. . . 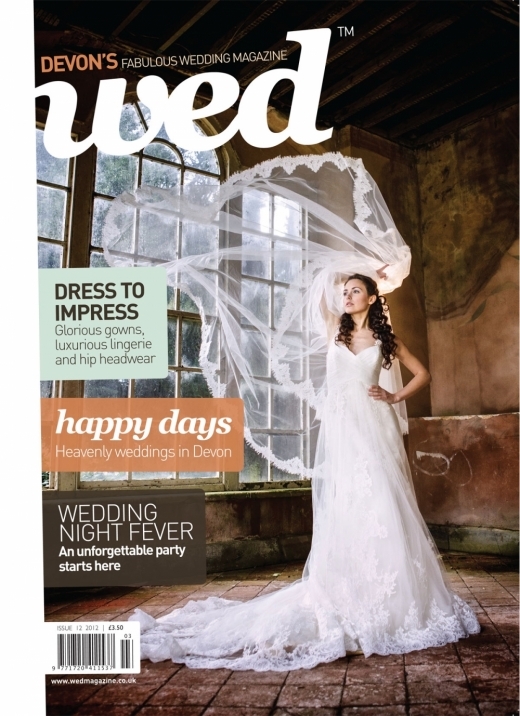 Here at WED Towers, we're busy putting the fabulous finishing touches to the latest issue of Wed Devon. An inspired feast of news, features, ideas and all that's trending in wedd. . . 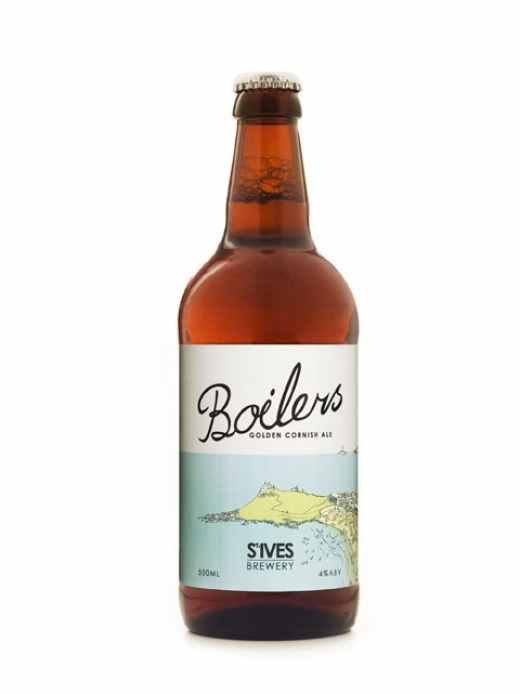 Celebrating its first birthday in supreme style, St Ives Brewery is launching a brilliant new beer. Their brand spanking new ‘Cornish Golden Lager’ boasts a gorgeous amber golden. . . The home of gorgeous chair covers and accessories, Sitting Pretty Southwest, is currently offering a very special deal for WED readers. Couples booking in 2012 will receive complim. 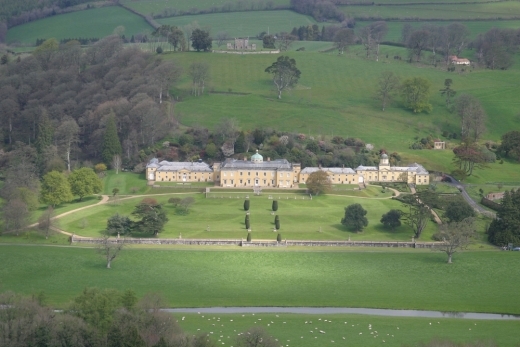 . .
Sunday 6th May 12pm-4pm Spend a dreamy Sunday afternoon exploring the elegant climes of Buckland Tout-Saints. 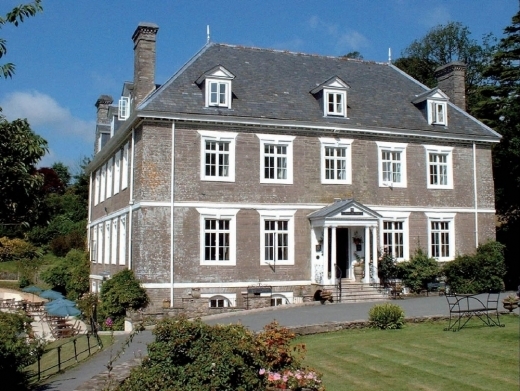 Tucked away in a glorious corner of South Devon, this ch. 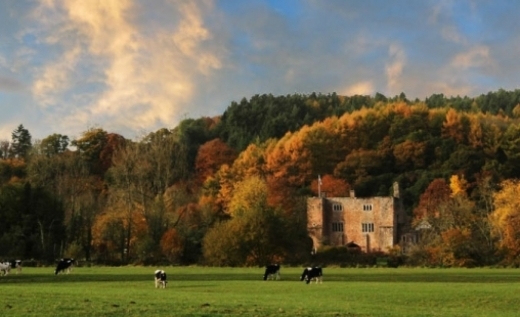 . .
Sunday 24th June 10.00am – 4.00pm The ‘Decidedly Different Vintage Wedding Fair’ at Bickleigh Castle, Tiverton 24th June - £2 entry to include goodie bag, child. . .
Seeking show-stopping and foot-stomping entertainment for your reception? 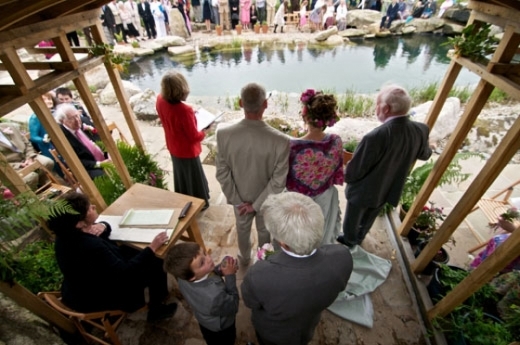 Perfect for Cornish themed weddings or those seeking to treat their guests to a live, engaging experience,. . . 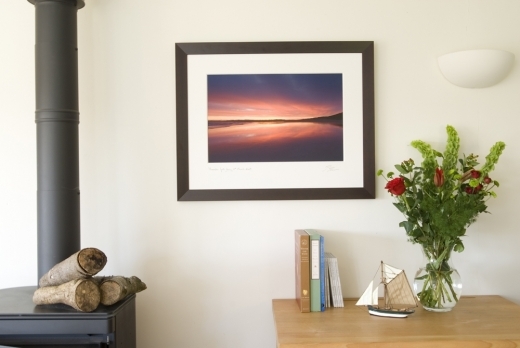 Photographer Will Dolphin has brought his beautiful and emotive photographic style to Devon. 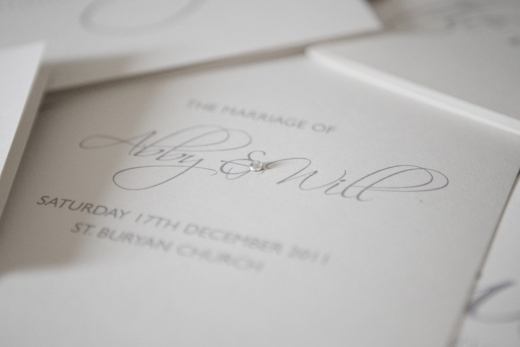 Armed with a passion for documenting weddings, Will's keen eye favours a natural style . . .
Holly Young Hats hits Philip Treacy! Cornwall-based milliner Holly Young has been on one amazing adventure in the magnificent millinery world of Philip Treacy. She shares her experiences with Wed in her latest blog . . . 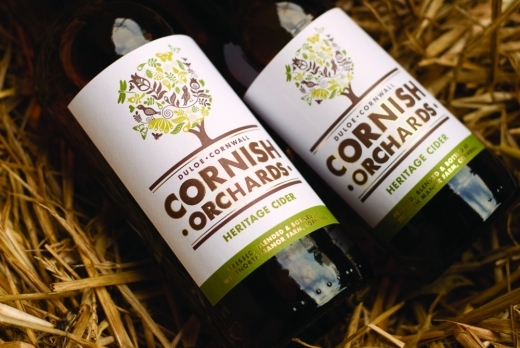 Brides and grooms-to-be at the recent (and oh-so spectacular) Wed Show were treated to a bevy of treats in their luxury goodie bags, including some tipples from Cornish Orchards.. . .
Sunday 29th April 11am-4pm Whip in to Wadebridge's fabulous bridal boutique for a one day sale spectacular. With dresses at £495 or less, pick up a dazzli. . . The WED Show - Huge Success! What a day! We're reeling from the success of last weekend's Wed Show, which saw a massive turn out in excess of 650 people. Brides and grooms-to-be flocked to the beautiful grou. . . The WED Show - This Weekend! 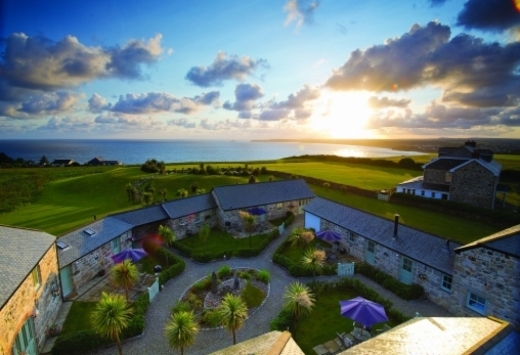 , Carbis Bay, St Ives The setting is sublime, the marquee is massive and the vibe is electric! . 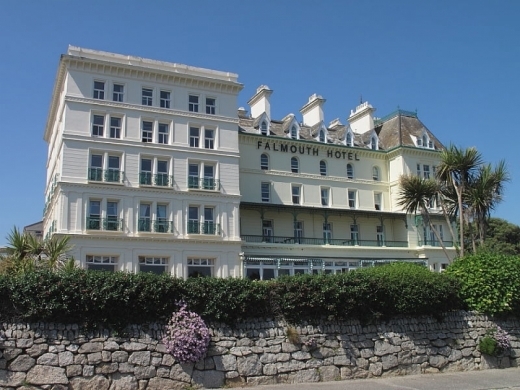 . .
With glorious sea views and landscaped gardens, The Falmouth Hotel offers the perfect setting for your wedding or civil partnership. Whether an intimate family wedding or a. . .
Head to Padstow for a truly indulgent experience in one of the area's most outstanding hotels. 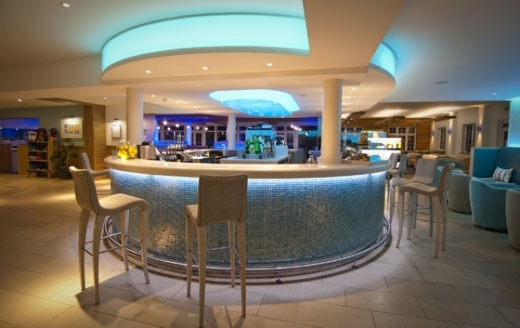 The Marine Spa treatment rooms at The Metropole offers a wide range of marine inspi. . . The Lemon Street Photography Company is currently taking a very limited number of wedding bookings for their free remaining wedding dates in their 2012 calendar. These special of. 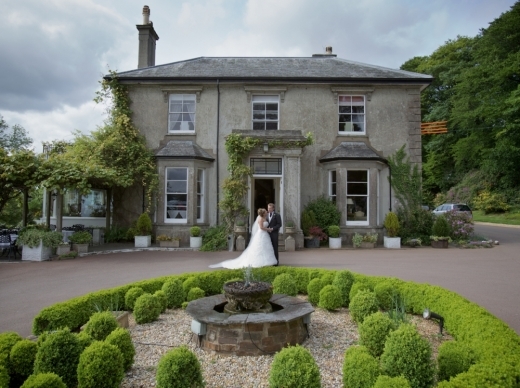 . .
County Cream Bridal House is offering brides-to-be a brilliant promotional package. Designed specifically to suit all ranges of budgets and styles, their designer deals start at . . .
We just may have surpassed ourselves with this latest issue. Crammed with a heady feast of features, photo shoots, dress and fashion showcases as well as a host of some of our mo. . .
Te Amo Bridal in Plympton is now stocking dazzling dresses from Callista, which specialises in frocks for fuller figured brides. As the original Greek name suggests, 'Callista' emb. . . If you're looking for a last minute summer wedding by the sea, St Michael's Hotel & Spa has a handful of dates still available: Saturday 21 July Saturday 28 July&. . .
Sunday 1 April 1pm-4pm Spring is in the air! Why not make the most of the glorious sunshine and spend this Sunday afternoon enjoying the breathtaking climes of . 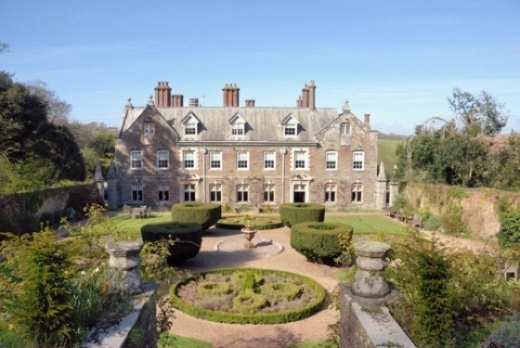 . .
Kenton, Exeter Saturday 24- Sunday 25 March 10am-4pm With the magnificent setting of Powderham Castle as a backdrop, this two-day wedding extravaganza i. . .
Lantallack is a gorgeous wedding venue tucked away in a simply sublime corner of Cornwall. 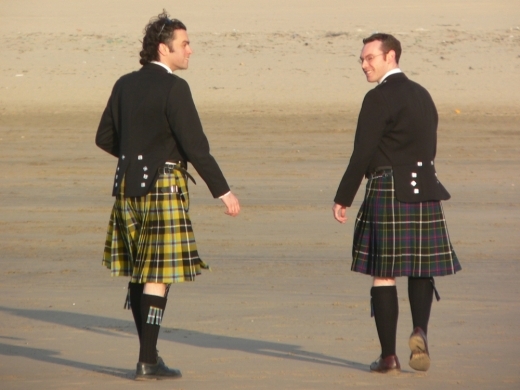 And, for those looking to tie the knot in 2012, there's only two dates left to offer coup. . .
Newquay Sunday 25 March, 11am-4pm Enjoy an afternoon of wedding inspiration in the elegant surroundings of the Atlantic Hotel. Combine the heady delights of explori. . . 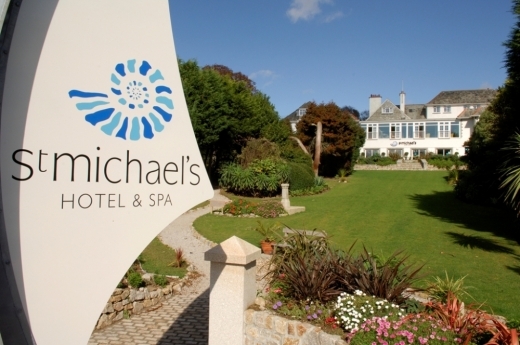 Win an indulgent break at St Michael's Hotel and Spa! This prize has been drawn and the winner isClaire Richards !! 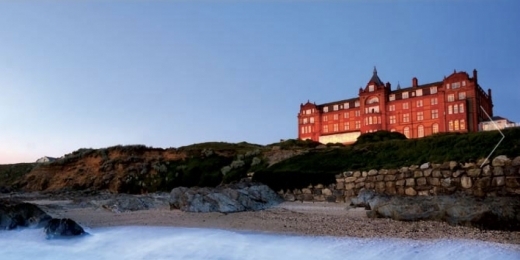 Win an incredible prize at one of Cornwall's premier hotel spas! This generous giveaway includes on. . .
Spring is in the air and it's competition time at This Life Media! 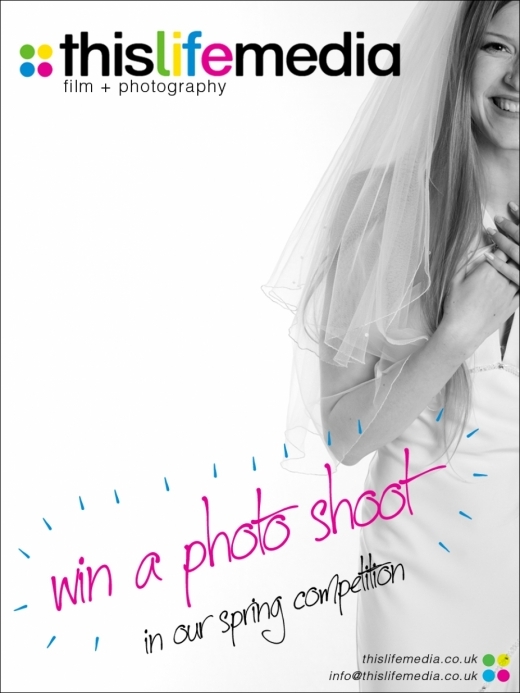 The lucky springtime winner will be treated to a fabulous photo shoot for themselves and their husband or . . . Brides Assurance Scheme Great news for brides wanting to purchase a fabulous frock without any financial worry! 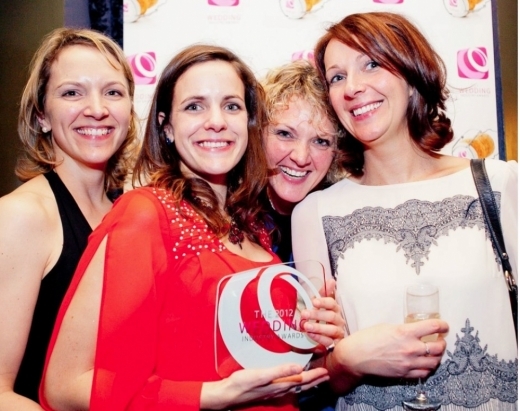 The British Bridal Retailers Association announced the launc. 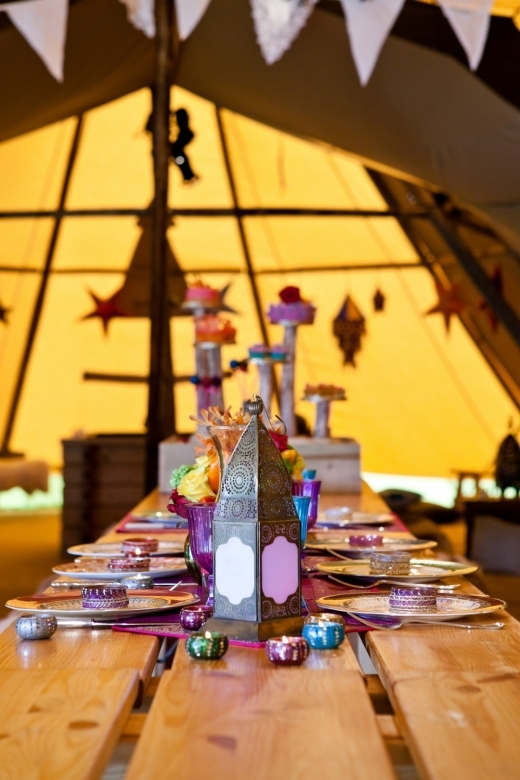 . .
Saturday 24- Sunday 25 March 9am-4.30pm Head to Darts Farm this weekend for this prime opportunity to explore World Inspired Tents' stunning tipis. The tea. 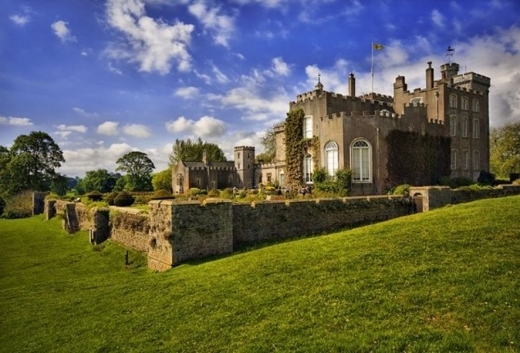 . .
Filleigh, Barnstaple Sunday 18 March Set in the majestic surrounds of Castle Hill, this spring wedding event will make for a memorable day out. Not only will a vari. 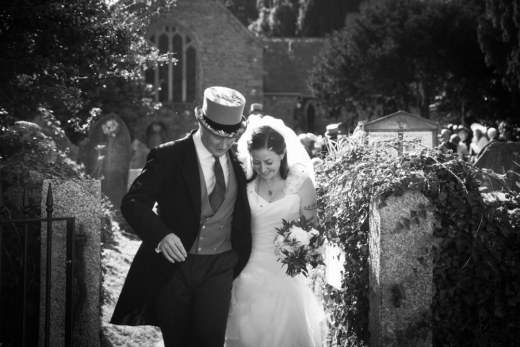 . .
Simon Andrews Photography is presenting WED readers with a fabulous offer. For all wedding photography packages, they will provide - at no additional cost - a separate bridal pho. . . The Wedding Company in Bodmin is hosting a massive sale on Saturday 24th and Sunday 25th March to make space for their fabulous new collections. 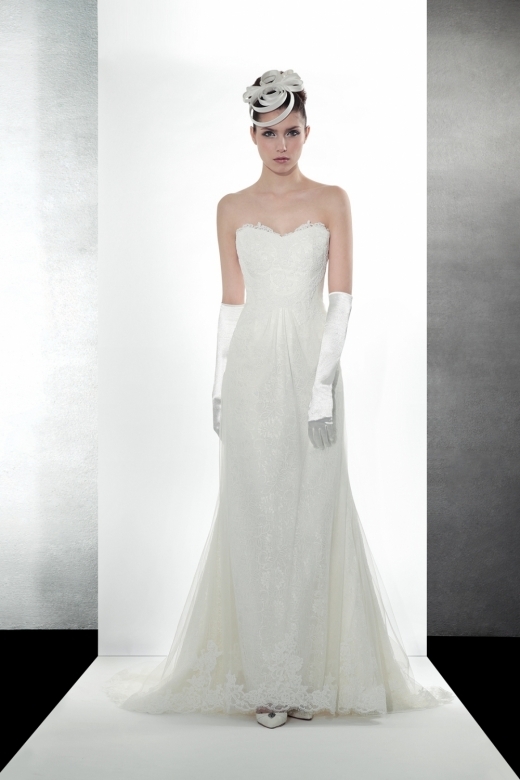 With bridal dresses from Alfred A. . . Renowned designer Ritva Westenius has won the coveted Best British Designer at the recent Bridal Buyer Awards at Harrogate, cemeting her name as one of the wedding world's most f. . .
We're all feeling rather bleary-eyed today at Wed HQ after an epic day of shooting in a magical corner of Cornwall. Available via Unique Home Stays, Stargazers is a luxury proper. . .
Sumptuous gowns from Jonathan James Couture have arrived at Te Amo Bridal and the Plymouth boutique is celebrating this exciting addition in supreme style. You can get 20% off thes. 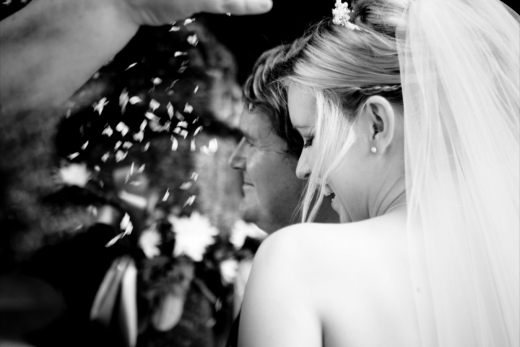 . .
Make a beeline for Little Anne-Maids in Camborne for an offer brides-to-be simply can't refuse. During March and April, if you purchase any bridal gown over the value of £600, yo. . . Forget your something borrowed... for something new and sparkly, brides-to-be are invited to The Ivory Secret's fun filled, treats galore accessories event, taking place on Thurs. . . The Market House, St Austell Saturday 10 March, 10am-4pm This creative wedding fair promises a delightful day out brimming with handmade and vintage loveliness. W. . .
Truro bridal boutique County Cream is running a special promotion on stock bridesmaid dresses throughout March. With up to 50% off some styles, this comprises a perfect opportuni. . .
Sunday 4 March 12 noon - 4pm This wedding fair comprises a great opportunity to take a look around The Seahorse Centre, a stunning contemporary venue with a private bea. 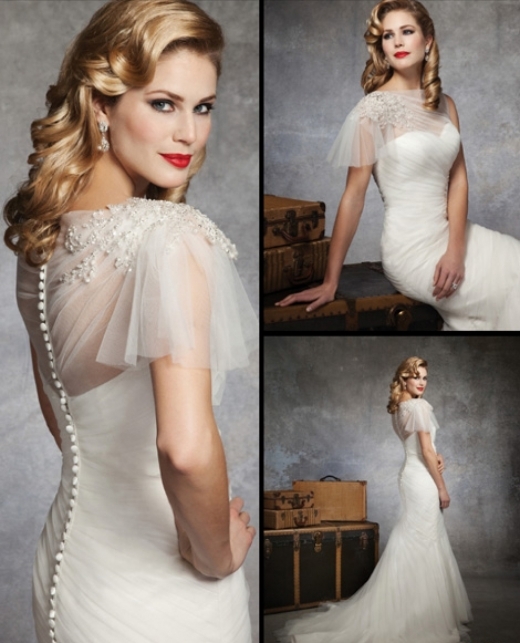 . .
Friday 2nd and Saturday 3rd March Fancy swooning over a gorgeous selection of bridal gowns? 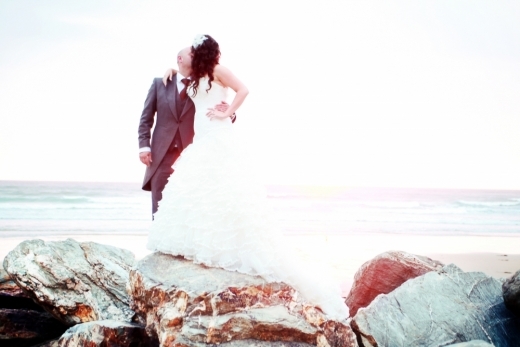 Then head to The Wedding Company in Plympton for their spectacular Chic and Holl. 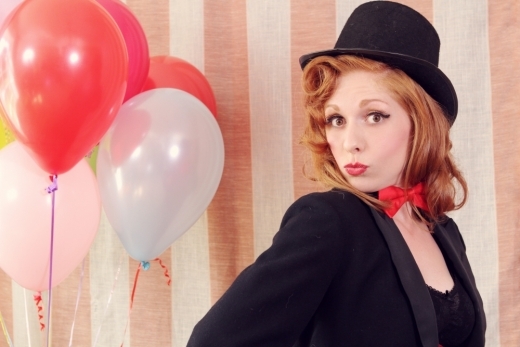 . .
Friday 2 March 10am - 9pm Featuring a stack of amazing entertainment and wedding workshops, there's a lot of fun to be had by all at Devon's enchanting new weddi. . . 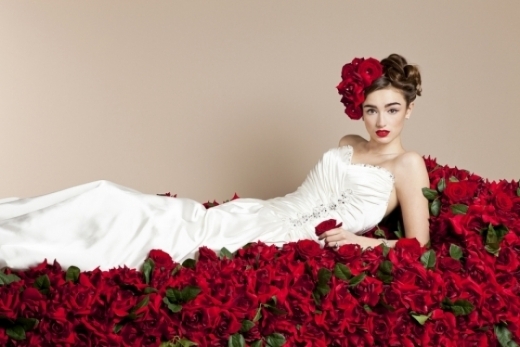 Lavender Rose Bridal is hosting a rather special 2Be Designer Weekend on 2nd - 4th March. 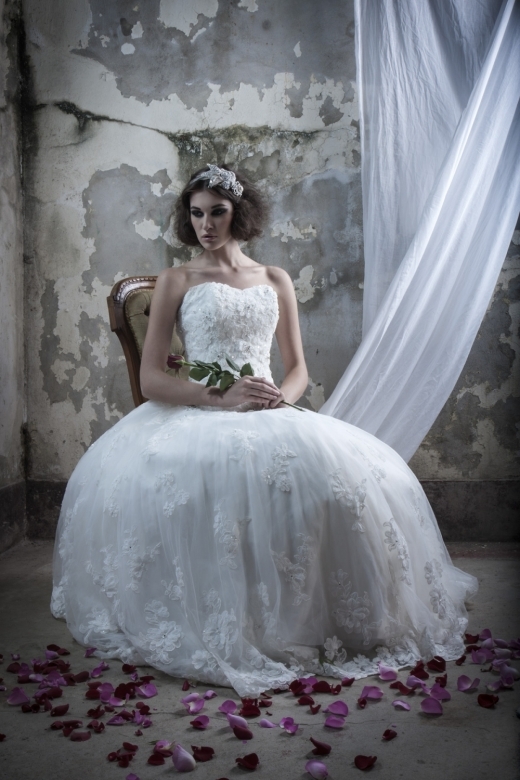 On top of all the gorgeousness on show, the bridal boutique will be offering brides a br. . . I had the pleasure of supping on some of the most scrumptious cider I've ever tasted this week (and I count myself a bit of a connoisseur!) Not only did the appley loveliness tas. 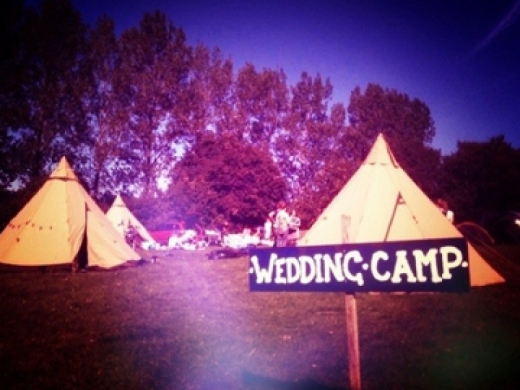 . .
Newquay Sunday 26 February 11am-3pm Hosting its first ever wedding fair, this is a sterling opportunity to visit The Esplanade, as well as its sister hotel, T. . .
World Inspired Tents will be showing off their stunning tipis on the 24th-25th March, 9am-5pm at Darts Farm, near Exeter. Throughout the weekend they’ll be showcasing three of th. 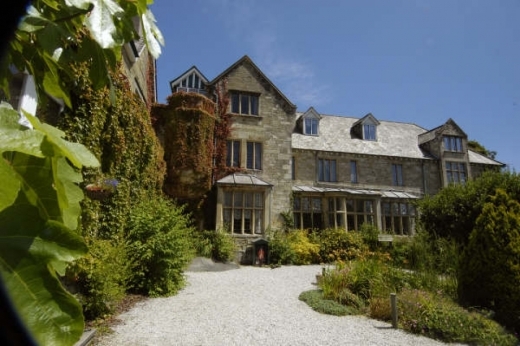 . .
Bodmin Sunday 19 February, 11am-4pm Set in the spectacular heart of Cornwall, this wedding fair will host a selection of representatives from the Cornish wedding . 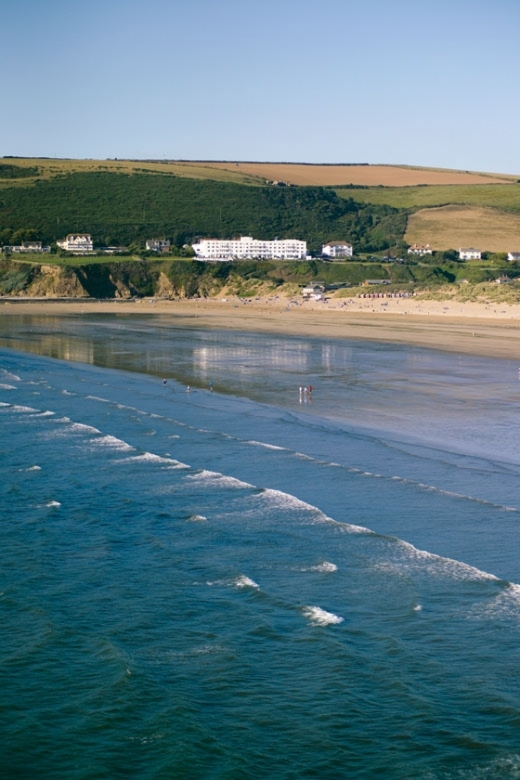 . .
Newquay Sunday 19 February, 11am-4pm Located in a picturesque seaside setting overlooking the Atlantic Ocean, don’t miss this opportunity to take a look arou. . . Enjoy browsing a diverse range of Devon's wedding supplie. . .
Saturday 18th- Sunday 19th February Head to Frilly Frocks' beautiful Barnstaple boutique this weekend for their big sale. 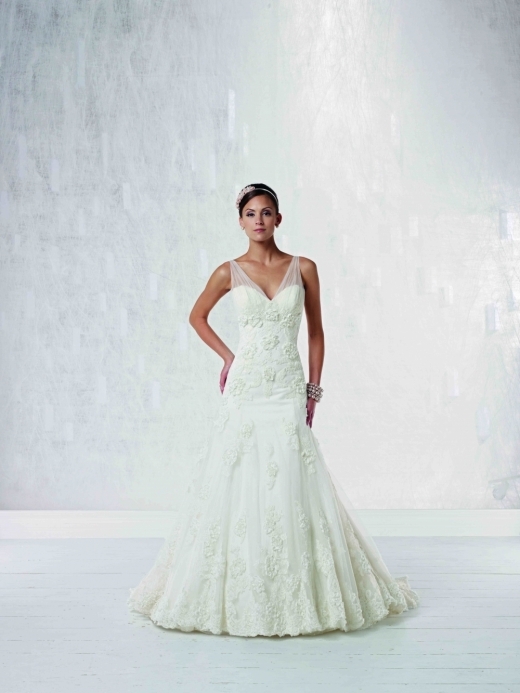 With up to 70% off designer bridal gowns including Maggi. 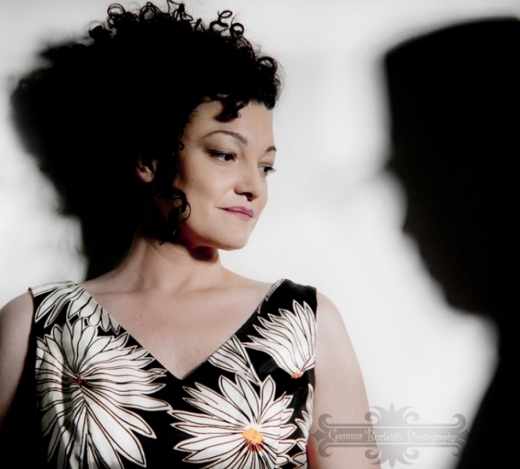 . .
Johanna Graham is offering couples a 10% discount for weddings booked during February for Johanna Graham Jazz, Wedding Entertainment. Johanna Graham is a jazz singer with one of . . . HAPPY VALENTINE'S DAY FROM WED! 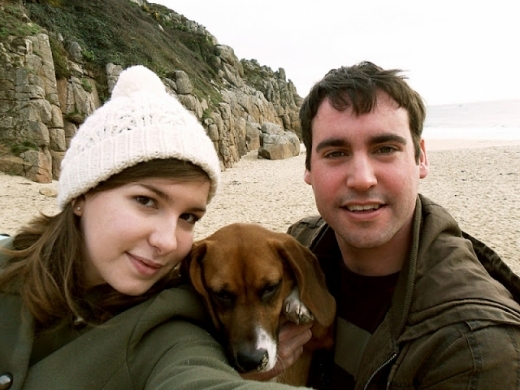 To celebrate Valentine's in true WED style, we're sharing some of our favourite engagement stories from our readers. Be prepared to 'ooh' and 'ahh' at these oh-so romantic tales . . .
Valentine's Day is nigh and romance is in the air. 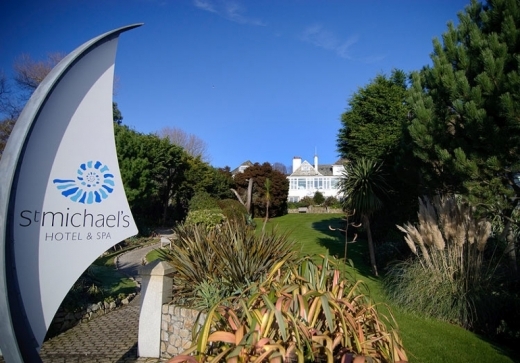 St Michael’s Hotel & Spa in Falmouth is getting into the starry-eyed spirit by teaming up with Michael Spiers in Truro to cre. . . Calling all Wed readers! 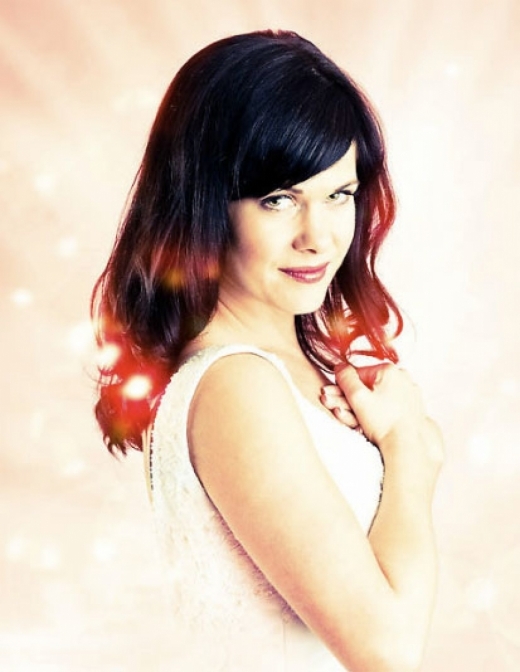 Bag some free tickets to The Wedding Salon, Devon's glamorous new wedding event! 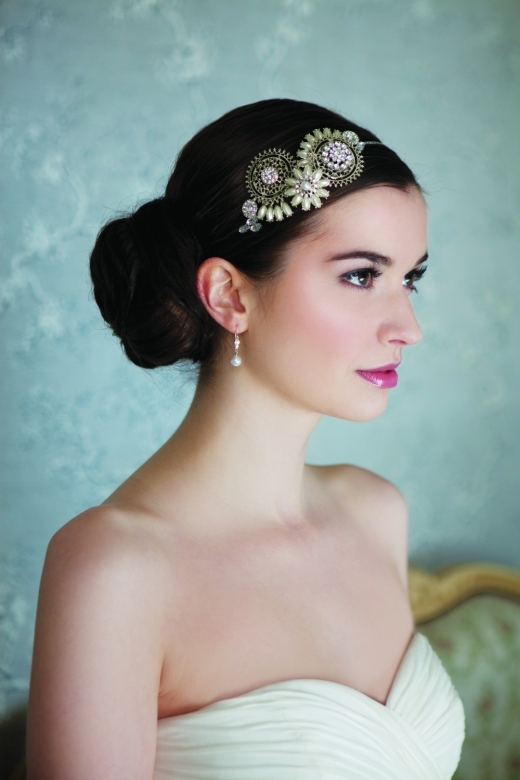 Quite simply a must for brides-to-be seeking style, quality and a heady . . .
We suggest you head to The Wedding Company in Plympton for some truly show-stopping fashion, as the beautiful dresses from Belle & Bunty arrive at the newly refurbished bouti. 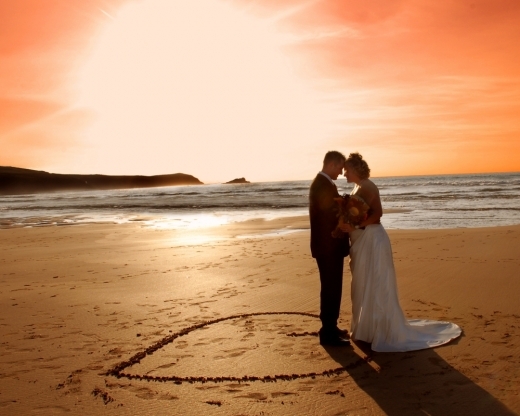 . .
Sunday 12th February 10.30am-4.30pm Take a trip to Truro this Sunday for the Hall for Cornwall wedding fair. As well as wide range of dresses, flowers, cakes, sta. . . It's the month of romance, and County Cream Bridal House is celebrating this swoonsome time of year by offering a spectacular 10% off all gowns from their fabulous new Romanti. . .
Big congratulations are in order for the fabulous World Inspired Tents. Following their regional award last month, the North Devon based company has continued their success by. . . WED Cornwall - Out Now! Well Wed Cornwall 20 is going down a treat. We've already had to resupply some of our major stockists within a couple of days of the magazine hitting the shelves. What can we say -. 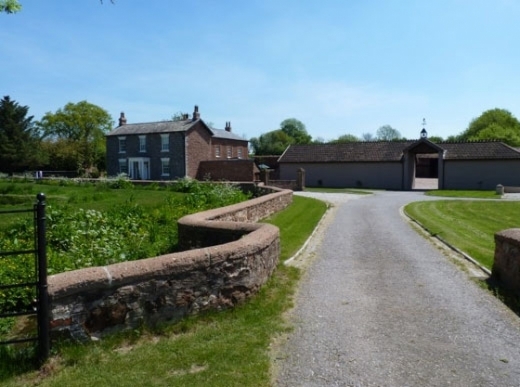 . .
Set within the attractive Culm Valley close to the edge of the Blackdown Hills, Muddifords Court Country House lies in an Area of Outstanding Natural Beauty near Exmoor, Da. . . 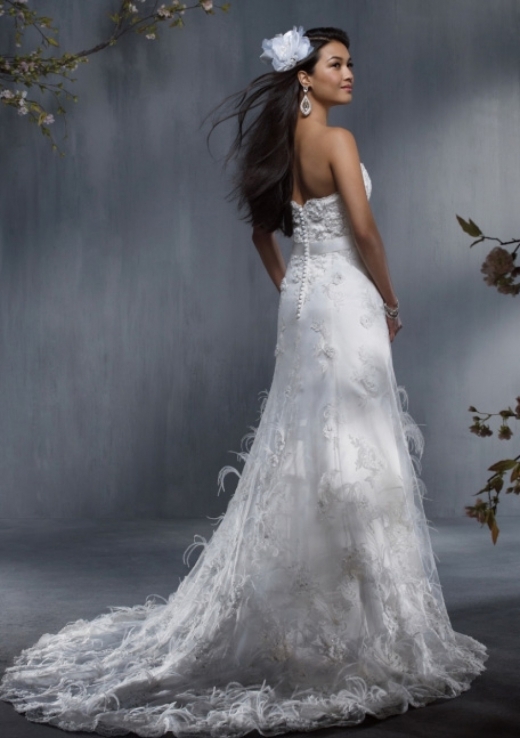 Introducing an exciting 2012, The Ivory Secret is ensuring all brides feel pampered and expertly guided whilst making the all-important decision of selecting their bridal gown.&n. 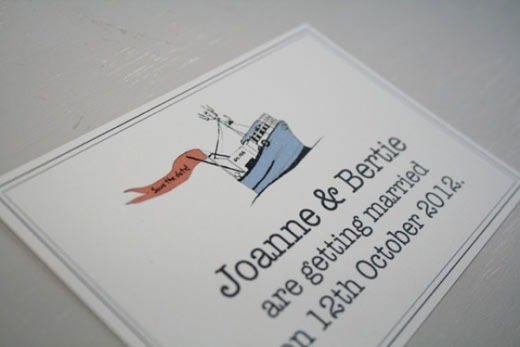 . .
New to the scene, Charlie Scribble designs and illustrates brilliantly bespoke wedding stationery. 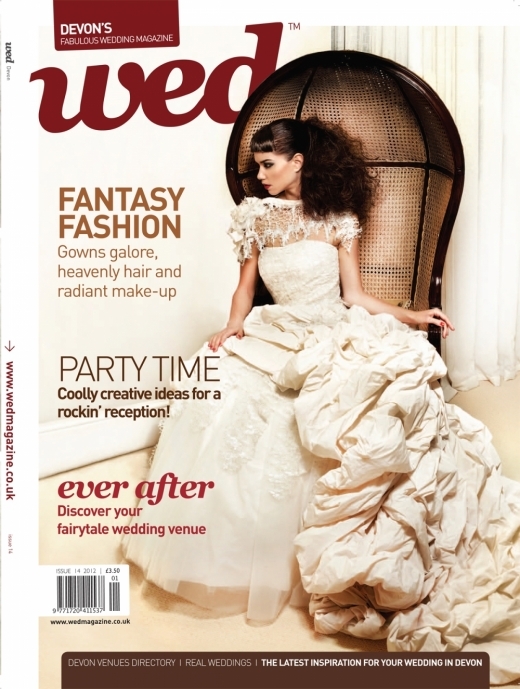 Innovative and inspired, brides and grooms with an eye for wonderfully cre. 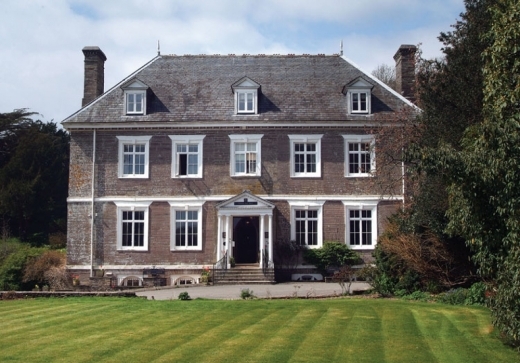 . .
Great Fulford Manor, Dunsford, Exeter Sunday 19 February 12noon – 4pm Devon’s glamorous new wedding event, The Wedding Salon, is quite simply a must for brides-to. 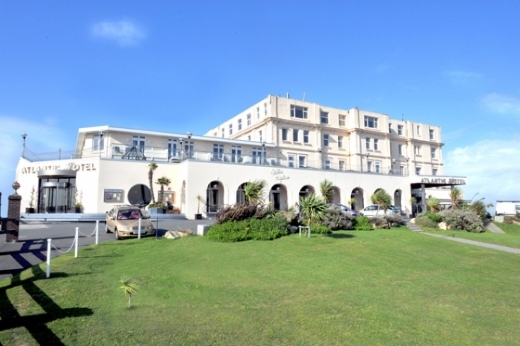 . .
Sunday 15th January 2012 11am - 4pm Experience a heady dose of four star fabulousness and stunning seaside vistas at The Saunton Sands Hotel's sumptuous wedding f. . .
Make a date in your diary for 20th and 21st January as The Wedding Company in Plymouth will be showcasing a massive range of Charlotte Balbier gowns from the beautiful 2012 Candy. 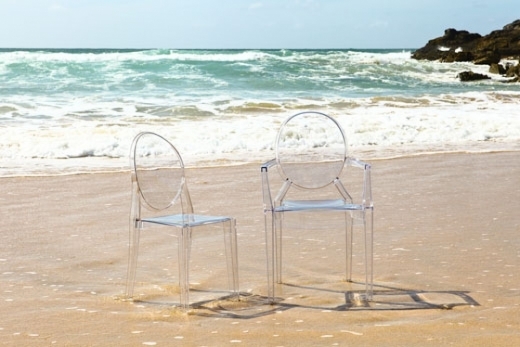 . .
For a super stylish offer you simply can't refuse, book Inspire Hire's Ghost Chairs for your 2012 wedding or event before the end of January and receive a fabulous 10% discou. 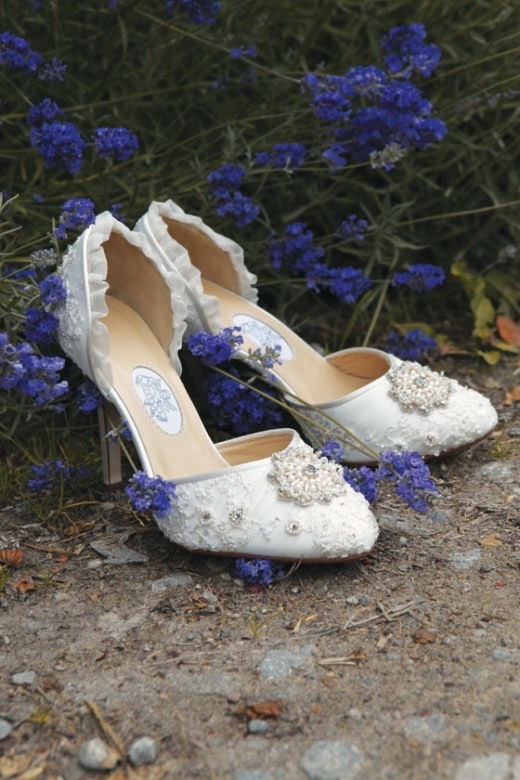 . .
HALF PRICE SHOES AT COUNTY CREAMCounty Cream in Truro is currently running a very special January offer for brides with an eye for a beautiful bargain. A gorgeous selection of vi. 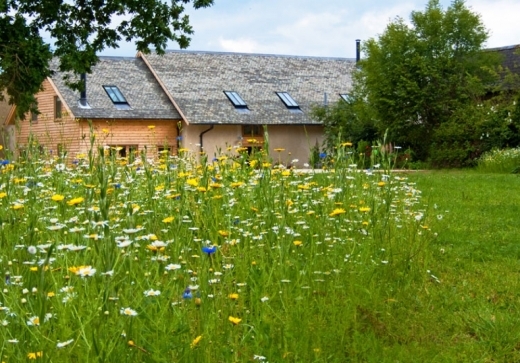 . .
For eco-friendly luxury, look no further than Little White Alice. 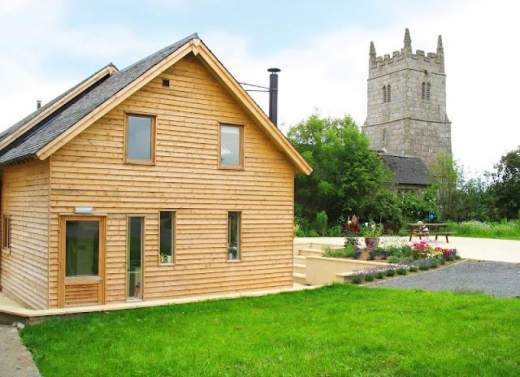 Located in the centre of the Cornish countryside, this glorious little retreat offers private escapism of the hi. . . WED is wishing all of our wonderful readers and supporters a very fabulous 2012...If our website traffic is anything to go by, it's been a bumper festive season for engagements -. . .